Manchester United were in a good situation on Saturday. They won their previous three matches with some decent performances and their confidence improving with every match. Losses to Brighton and Tottenham were almost forgotten, amidst a good run of results away from home. Wolverhampton were supposed to be a tricky opposition, but certainly one United could beat and continue their run. And yet, a 1-1 draw was all they could muster. So, what went so wrong? Why are Manchester United still struggling against newly-promoted teams? They were losing points last season against all three of Brighton, Huddersfield and Newcastle, and now they lost two points against Wolves. In the last three matches against newly-promoted sides, Man United have only this point from Saturday, losing the previous two. One of the things is chance creation. Manchester United often have long spells where they do not create good enough chances. Way too often, the players just choose to shoot on goal from poor positions from individuals, while sequences of passing play that lead to goals are rare. Even the goal Fred scored after a brilliant assist was a goal that was lucky in some form. Manchester United had 15 shots against Wolves, but their overall xG amounted to 0.61. That is a catastrophic 0.04 xG per shot. Basically, United should be grateful they even scored once. Too many of their shots were just random shots from distance that seldom lead to anything valuable. Only five of those 15 shots came from inside of the box and even those shots were not something anyone would characterize as a “really good chance”. United do not know how to create them. Also, we learned that Mourinho should try with Romelu Lukaku on the right wing. Why not? Against Wolves, he was almost non-existent, getting to only one blocked shot from the edge of the box. The Belgian could be of much more use on that wing, where he has the space and time to run, get past his opponents and link-up with those around him. As a striker, he often struggles from poor display of those around him, but also from lack of space, being surrounded by several players of rival teams. How imbalanced United were in this match also show the stats for touches. Manchester Untied had many more touches in this much – expectedly – but there were great differences between certain players. 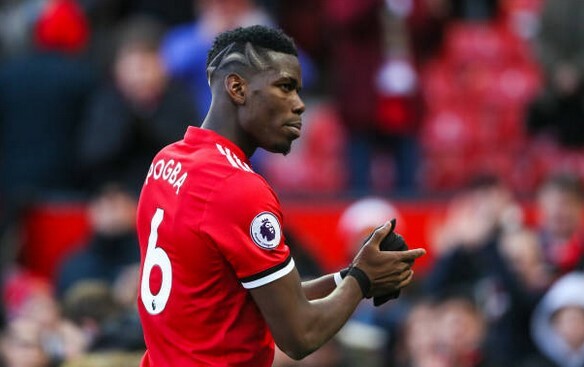 Paul Pogba had 123 touches without creating all that much at all, while Lukaku had 22 – a 101 touches less. Sure, a striker will have less touches, but 22 is just appalling. Both Sanchez and Lingard had 50+ touches, getting at least a bit more involved. Wolves also scored from a chance that does not too often go in, but they also had two very good chances in central area of United’s box, through Raul Jimenez and Willy Boly in the opening quarter hour. They could have had that lead much before the Devils got theirs so it was little wonder when they equalized. United never really felt like they would score again and relying on Marouane Fellaini’s height shows lack of proper plan. Newly promoted teams. I stopped reading at that.